Tehran (AFP) - Mohammad Reza Rahimi, Iran's first vice president under former president Mahmoud Ahmadinejad, has been sentenced to five years in prison and fined, state media said Wednesday. 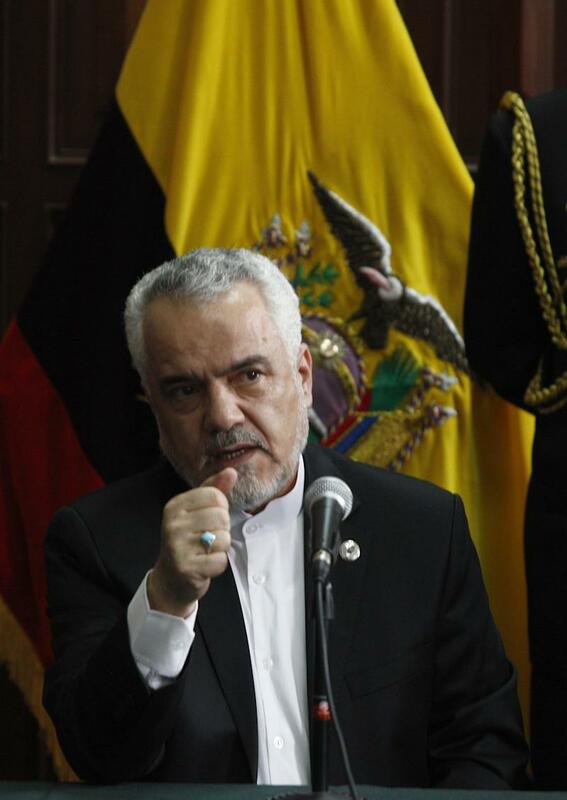 Appointed by Ahmadinejad after a controversial election win in 2009, Rahimi is the most senior official from that era to have been convicted. The Supreme Court's verdict came after a long-running trial on what Iranian media said were corruption charges. The official IRNA news agency said the ruling was final and Rahimi, 66, would serve five years and 91 days in jail and be fined 10 billion rials (about $364,000). It did not state what his crimes were, but noted that a previous court had sentenced him to 15 years of prison. Rahimi was also ordered to pay 28.5 billion rials as restitution, but the report did not say to whom. Iran's judiciary had previously said it could not reveal the details of Rahimi's case because the verdict was not final, but IRNA again gave no specifics about his crimes, noting only that the sentence "should now be executed". Lawmakers had accused Rahimi of heading up an embezzlement scheme. He was questioned by judicial officials before being placed on bail in December 2013. President Hassan Rouhani, Ahmadinejad's successor, has warned in recent months that corruption poses a threat to Iran, and he has taken aim at powerful monopolies that control the economy. The Islamic republic is considered one of the world's most corrupt places. It was ranked 136th out of 175 countries on Transparency International's corruption index for 2014. The main areas where graft thrives in Iran include the paying of bribes to facilitate trade in a country where state institutions such as the military exert control in businesses ranging from telecoms to oil sales. The impact of international sanctions imposed on Iran over its disputed nuclear programme is also blamed for corruption, with hard times making it more likely that government officials and company managers will take backhanders. Since Rouhani's government took office in August 2013, several prominent graft cases have come to light. Rahimi's conviction follows that of a businessman convicted in May 2014 of masterminding a $2.6 billion banking scam, the biggest fraud case in Iran's history. He was hanged.